Mixed martial artists Kevin Randleman, Thiago Alves, and Aaron Carvalho have each been suspended by the Nevada State Athletic Commission as a result of their recent drug test failures; while Gilbert Yvel has been denied a fighters’ license in Nevada and Erin Toughill has been granted a conditional fighters’ license. Randleman’s license as a fighter has been outright revoked for providing fake urine during a drug test; Alves has been suspended for eight months due to a positive test for a banned diuretic; and Carvalho has been suspended for six months due to a positive test for the active ingredient in marijuana. In Randleman’s case, it’s not clear when or if he will be allowed to fight again. The absolute earliest that he will be able to apply to get his license back will be one year from the date of his last fight, so that would be October 21, 2007. Even after that date, Randleman will have to personally appear in front of the NSAC and provide medical evidence that he is completely healthy before he can fight again. On top of the aforementioned suspensions, Randleman has been fined $5,000 and Alves has been fined $5,500. Also today, Gilbert Yvel was denied a fighters’ license in Nevada due to his previous actions in MMA bouts, which include punching and kicking a referee during a 2004 fight in Europe and also getting disqualified in two previous fights. While Yvel was calm throughout the hearing, there were several heated moments stemming from the fact that Yvel seemed to be oblivious to the fact that the NSAC did not understand his justifications for his actions. The NSAC appeared to become increasingly frustrated with Yvel’s explanations during the proceedings, and Yvel was eventually denied his request for a license to fight on Pride’s February 24th card. In addition, Erin Toughill was granted her request for a fighters’ license. Toughill’s request required a special hearing because she previously fought while under an NSAC medical suspension. In 2006, Toughill was TKO’ed during a boxing match in Nevada, and she fought on an MMA card in California while under NSAC medical suspension. The NSAC agreed to grant her a license on the condition that it would only be for one fight, and then the NSAC will re-evaluate her case on medical grounds. 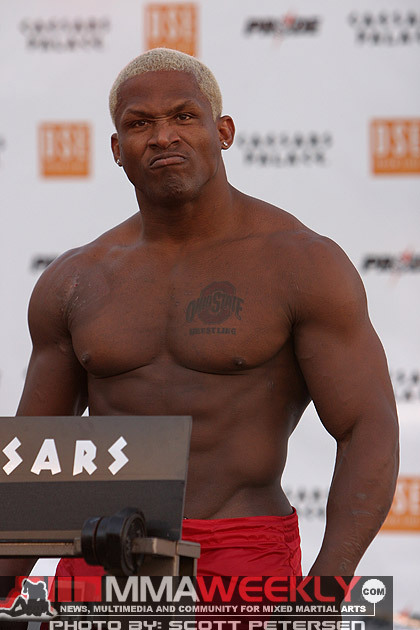 Kevin Randleman fought on the Pride card on October 21st of last year, losing to Mauricio “Shogun” Rua by submission, and his post-fight urine sample did not contain any human hormones. As a result, the NSAC alleged that Randleman provided a fake urine sample, which is regarded as being just as much of a violation as actually failing a drug test, if not more of a violation. 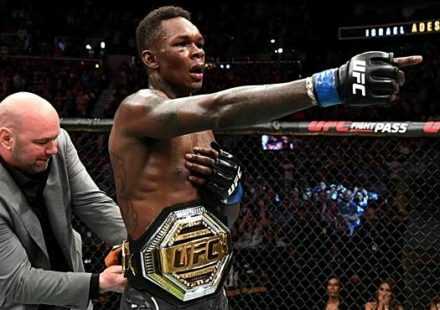 After an emotional disciplinary hearing, during which Randleman and his representatives admitted that Randleman provided fake urine, his fighters’ license was revoked. It’s not clear when or if he will be able to fight again, and the absolute earliest that he will be able to apply to get his license back will be one year from the date of his last fight (which took place on October 21, 2006). The NSAC ruled that even after that date, Randleman will have to appear in front of the commission and provide medical evidence that he is completely healthy if he to be granted a fighters’ license ever again. Randleman’s hearing started as his representative, Jim Gallo, discussed the recurring lung infection that has plagued Randleman for the past 16 months. The lung infection has required eleven surgeries and increasingly strong antibiotic treatments. The NSAC was provided with photos from the surgery that Randleman had just two months before his October 21st fight in an effort to rid his body of the infection. Gallo said that due to the recurring infection, Randleman was on prescription painkillers and antibiotics at the time of the Pride event, and that Randleman was subsequently hospitalized for seven days in January due to “his body shutting down” from complications stemming from the same infection. Gallo said, “Mr. Randleman was a fighter in poor health who misled this commission so that he could fight and make money for himself and his family. He takes responsibility for his actions.” Gallo also asked that the NSAC change its procedures so that fighters are provided with a list of banned substances six to eight weeks before an event takes place, as Randleman was only given a banned substances list one day before the event and “that’s when he panicked” upon seeing some of his medications on the list. 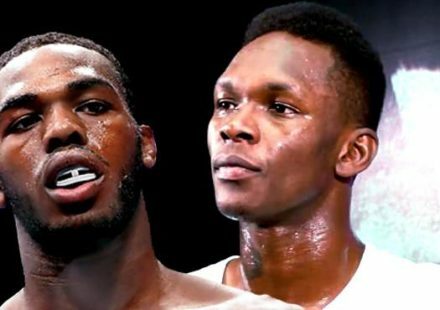 Gallo concluded his statements by saying that he was aware of the talk that Randleman’s license should be revoked, but Gallo felt that a suspension of 10 to 12 months would be more appropriate. Commission chairman Dr. Tony Alamo expressed concern that with Randleman having a serious lung infection going into the fight, he could have theoretically passed the infection along to his opponent, Mauricio “Shogun” Rua, if both of them had sustained open cuts during the fight. Fortunately, neither fighter was cut during the fight. Alamo said the only case that the NSAC has for a basis of comparison is that of Sean McCully, who provided fake urine for a drug test in 2004. In McCully’s case, the NSAC revoked his license. Alamo said that even though he believes Randleman regrets his actions, the NSAC also has to set the precedent that Randleman’s actions were unacceptable. The commission ultimately decided to revoke Randleman’s license and fine him $5,000. Randleman will have to personally appear in front of the NSAC and provide medical evidence that he is completely healthy before he can fight again. Thiago Alves tested positive for the banned diuretic Spironolactone after he defeated Tony DeSouza at UFC 66 on December 30th. Diuretics are banned not only because they can be used to help fighters cut dangerous amounts of weight in short periods of time (which many fighters routinely do even without the use of diuretics), but also because they can be used to flush other banned substances out of a fighter’s body before a drug test. Alves’ manager, Dan Lambert, said to the Nevada State Athletic Commission, “We acknowledge that Thiago took the diuretic.” Lambert claimed, “Thiago did not knowingly break the rules of the commission” because he did not know that the use of diuretics is banned. “We’re not trying to play games with anybody here, but we have over 40 fighters on our team, and none of them knew about the ban on diuretics. If you read the Internet forums, it seems as though a lot of people, fighters and fans alike, were not aware of the ban on diuretics,” Lambert said. Alves said, “I didn’t know. I’m really, really sorry. I knew about steroids [being banned], I didn’t know about the diuretics [being banned]… This is my life. This is all I do. 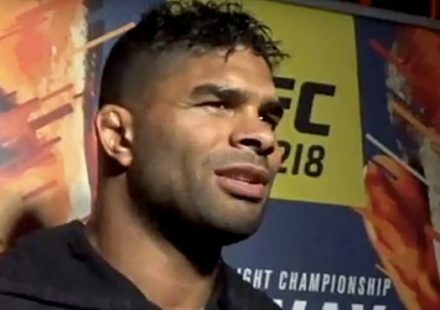 I need to fight to survive, not just for me but for my family in Brazil.” Alves said that he took the diuretic on the Thursday before the event, which would have been about 48 hours before the fight. The commissioners did not seem to believe that Alves and Lambert were unaware of the fact that diuretics are banned. They mentioned that it has been well documented in lots of sports that diuretics are banned, and specifically that diuretics are banned by the U.S. Anti-Doping Agency (USADA). It was very interesting to hear the NSAC mention USADA due to the fact that the NSAC and other state athletic commissions have yet to implement USADA’s standard punishment for any athlete who tests positive for a banned substance (which is a two-year suspension for a first-time offender and a lifetime ban for a second offense). 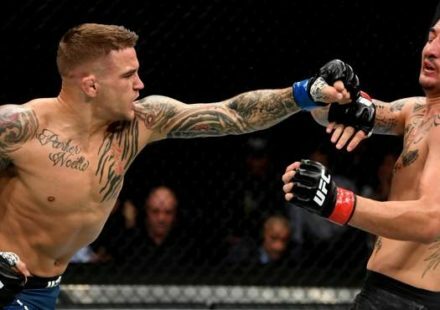 The official policy used to be that the result of the fight would stay the same, no matter what banned substances were found in the winning fighter’s system. Aaron Carvalho tested positive for marijuana after his December 29th loss to Gilbert Sims on the Tuff-N-Uff fight card in Las Vegas. Carvalho was very forthright and straightforward in his testimony, as he said, “I admit to it. I was hanging out with some people about a week before the fight and we were smoking.” Carvalho said that he hasn’t used marijuana since then and that doesn’t smoke marijuana regularly, but he did use it about a week before his December 29th fight. In deciding Carvalho’s punishment, the commissioners brought up the NSAC’s most recent marijuana-related suspension, noting that K-1 fighter Carter Williams was suspended for six months after he tested positive for marijuana following the K-1 USA event in August 2006 The commissioners decided that Carvalho would also be suspended for six months from the date of the fight. With Yvel having explained all of his problems with the referee, the commissioners unanimously agreed to deny his application for a fighters’ license. This is not like a suspension where the fighter can’t fight anywhere in the world for a certain period of time; Yvel simply can’t fight in Nevada because he is not being given a license to fight in Nevada. This leaves Yvel’s original opponent for Pride’s February 24th card, Sergei Kharitonov, without an opponent. Pride had previously proposed a fight between Kazuyuki Fujita and Wes Sims for the February 24th card, but the NSAC rejected it for competitive reasons (Sims vs. Mark Hunt was also rejected for competitive reasons). With Kharitonov’s fight not being approved and Fujita’s fight not being approved, it would seem to be logical that Kharitonov would fight Fujita, but that is not the case. The NSAC has confirmed to MMAWeekly that Fujita will not be fighting Kharitonov or anyone else on the card, as the deadline has passed and Pride has still not sent all of Fujita’s medical information to the NSAC. It is not known whom Kharitonov will be fighting (if anyone), but it won’t be Fujita. As a safety measure, the medical information of all fighters who are at least 35 years old (Fujita is 36) must be submitted at least a week before a show. Pride has missed this deadline for Fujita, so he will be ineligible to compete on the card. The NSAC just got Dan Henderson’s medical information from Pride today (Henderson is 35 years old). Female mixed martial arts competitor Erin Toughill, who was recently featured on the MSNBC show Warrior Nation, appeared before the Nevada State Athletic Commission to request a fighters’ license. Toughill’s application required a special hearing instead of getting a standard approval because last year Toughill fought while she was under an NSAC medical suspension. Toughill was TKO’ed in a boxing match in the state of Nevada on August 31, 2006. Due to punishment sustained in the fight, the NSAC medically suspended Toughill for 30 days. However, Toughill fought two weeks later on an MMA show in California while she was still under medical suspension. The commissioners said that sometimes they have to protect fighters from themselves and that she should not have been fighting anywhere, in any sport (boxing or MMA), while under medical suspension. The commissioners voted to grant Toughill a conditional, one-fight license to fight in the state of Nevada. After that one fight in Nevada, then the NSAC will re-evaluate her case on medical grounds. Toughill is able to fight anywhere else in the meantime; her application for a fighters’ license today was specifically for the state of Nevada. The seven Pride fighters who were drug tested and passed their tests at the Pride USA event last October were Fedor Emelianenko, Mark Coleman, Mauricio “Shogun” Rua, Josh Barnett, Dan Henderson, Phil Baroni, and Yosuke Nishijima. Vitor Belfort and Pawel Nastula failed their drug tests, and in December they were both suspended for nine months from the date of the event. The other six fighters on the Pride card were not drug tested.